I am getting ready for my favorite season – summer! Refreshing my wardrobe and updating beauty box. Below is my list of new beauty summer essentials: makeup, nail polishes, hair products, skincare and body care. 1. Inglot Freedom System eye shadows palette: I bought this one at IMATS 2 weeks ago and simply obsessed with the colours. If you have not used Inglot before, here is a short explanation why you should. Firstly, you can create your own palette by choosing the colors you want. Secondly, the color range is AMAZING! Check it out here. Silk Green Line brushes set by Royal & Langnickel Brushes – Liner, Eye Fluff, Smudger, Eye Shadow: these are great for applying, blending and smudging eye shadows like a professional. It was gifted and I am absolutely in love with this set! 2. Eye Brighten Anti-Dark circles brightening invigorating cloth eye treatment mask. It works wonders and can be purchased from any chemist. I carry this one in my handbag for a quick fix. Institute Arnaud Masque Hydra Absolu – an ultra-comfortable way to pamper and quench thirsty skin. This one (or Dermalogica) I apply while having a bath once a week. Dermalogica skin hydrating masque – easy way to replenish dry skin in 10 minutes. 3. Clarins Day Screen SPF40: high sun protection for face – non-greasy, light and makeup friendly formula. My absolute essential for summer! Neutrogena Ultra Sheer Body Mist SPF30: high sun protection for body, water resistant, easy to apply and not greasy. 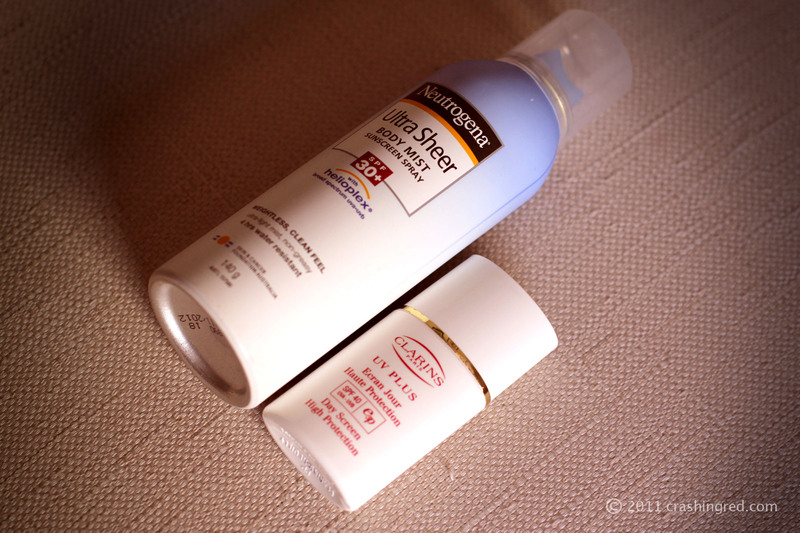 First I tried Neutrogena sunscreen spray last summer and fell in love with it. 4. St. Tropez everyday body moisturiser: to create a sultry bronzed look while looking after my skin instead of drying it out under the sun. 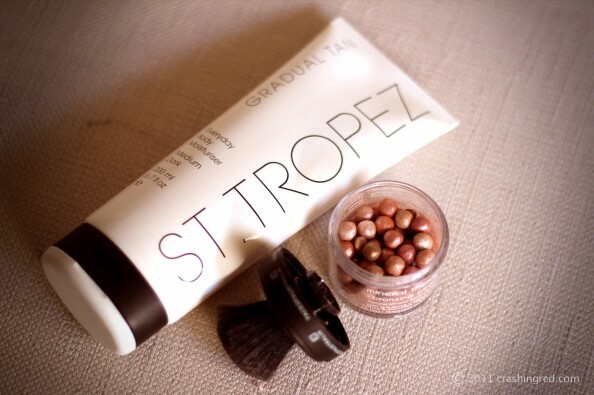 Mineral Therapy Bronzing Pearls by Face Of Australia: to be applied on my exposed body bits to enhance the glow of bronze skin when going out. The body bits I am talking about are legs and shoulders, not anything else as you may (potentially) imagine. 5. Moroccan Oil ionic ceramic brush: my old thermal brush went into the bin, after I tried the Moroccan Oil brush. Because the ionic ceramic brush is just the way better then a usual thermal brush. 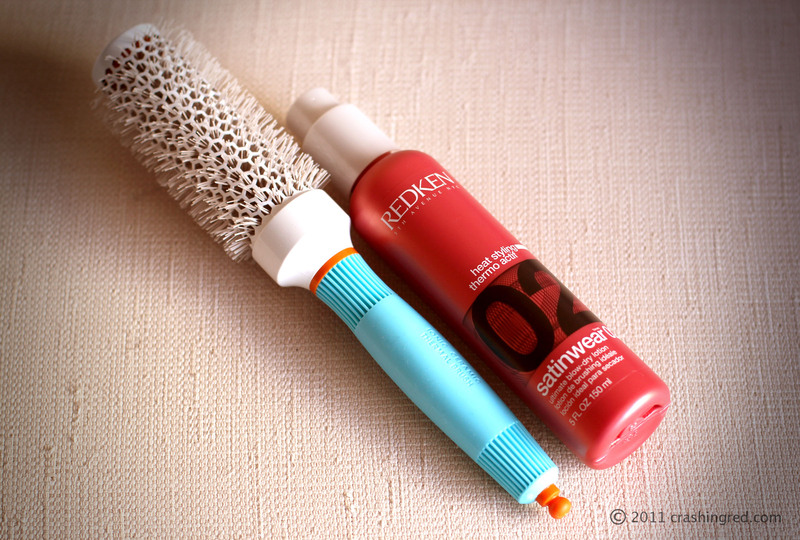 Redken Thermo Actif ultimate blow-dry lotion: I use blow drier very often so this light-weight lotion is my new must have. It makes my hair silky and contains UV filters to protect my hair from mad Australian sun. 6. 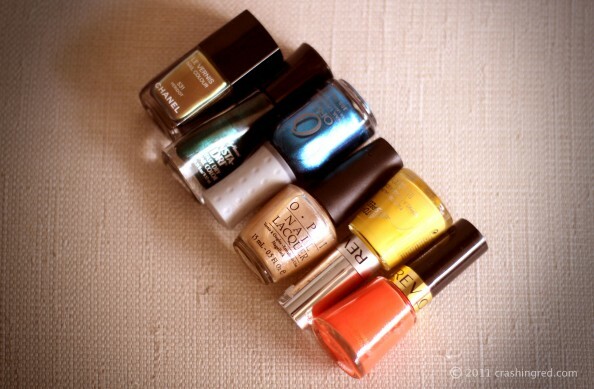 Nail polishes: Revlon Mad About Mango, Revlon Top Speed 305 Electric, OPI Upfront & Personal, ORLY Sweet Peacock, Sally Hansen Insta Dry 22 Jumpin Jade, Chanel 531 Peridot. This summer I want my nails to be bright and happy. Shimmery shades are also in! 7. 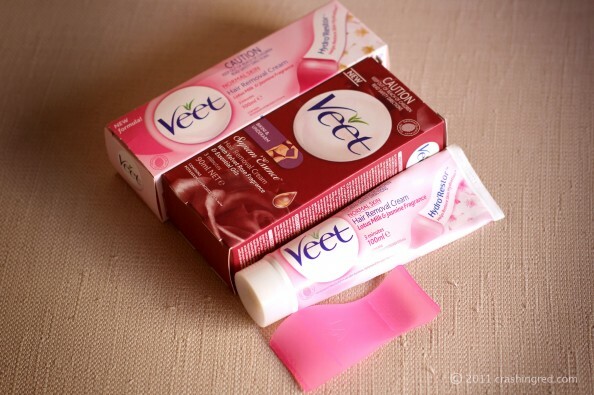 Veet hair removal creams: I am not a wax person and laser hair removal is too expensive. The cream is much better than a razor. Gentle on skin yet long-lasting result. 3 minutes and forget about ‘it’ for a week or longer. Disclaimer: a few of these products were gifted, a couple were provided for review but vast majority I bought myself FOR myself to use this summer. All views are my own (as always). Your Inglot palette looks SO great for summer. Great choices! Oehh nice stuff! Just ordered the stuff by st. tropez on asos, can’t wait to try it myself! Oh I love those nail polishes, especially the Chanel I wish I had just one! Strange to think that you’re entering summer and here in Europe it’s automn! 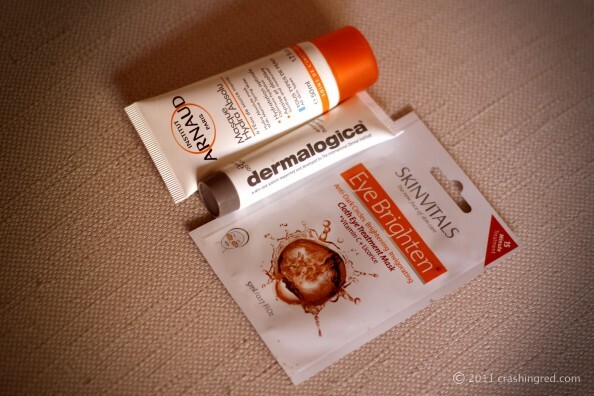 I used my Dermalogica mask this am and it sunk right in , my skin must be so thristy. Noice polishes, that Revlon Mango one is hottt! I’m glad you liked my summer favs, ladies! @Tine – No, I haven’t tried any other SkinVital masks… will definitely buy some more! I seriously liked the one for eyes. I’m Sonya, responsibld of export development or Institut Arnaud. Thanks for using our products and for sharing your commentw on-line. 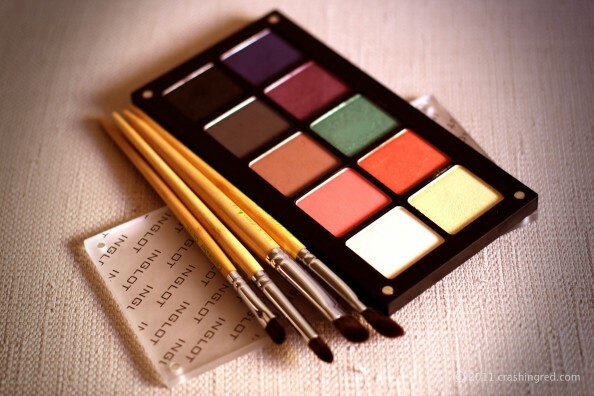 What are the numbers in your inglot palette? I would love to know! Thank you!